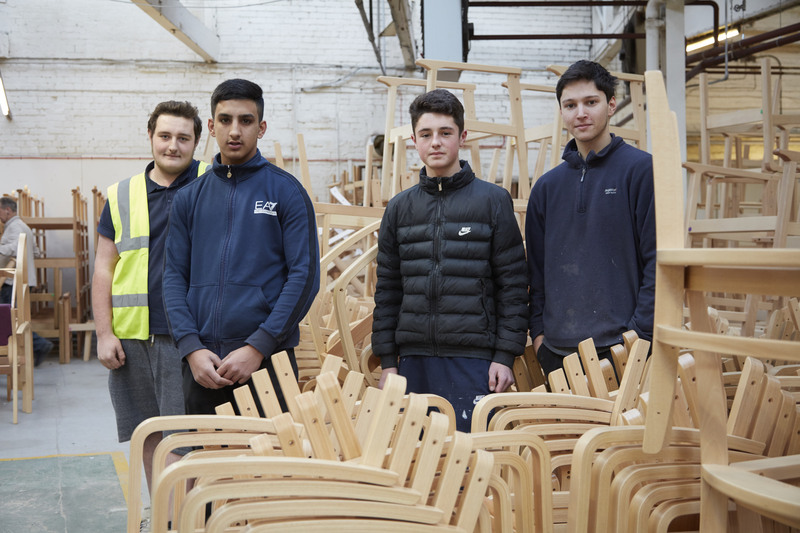 Knightsbridge Furniture is demonstrating its support to the future generation of furniture makers by taking on a raft of new apprentices. The four apprentices, aged between 16-18 years old, have been given places on the Knightsbridge apprenticeship scheme thanks to the company’s partnership with North Lancs Training College in Accrington, where all four apprentices are students. Ewan Cockcroft is working in Knightsbridge’s foam and fitting department and James Davies is shadowing the expert team in the upholstery division, while Shohaib Ikram and Callum Large are working with the team in the Knightsbridge mill, taking on a series of roles. Knightsbridge is renowned for its heritage, skilled craftsmanship and manufacturing quality furniture which can be tailored to meet any budget. The apprenticeships at the furniture manufacturer will allow the trainees to learn new skills and gain valuable work experience that they can utilise in the future. Speaking about the apprentices, Alan Towns, CEO at Knightsbridge, said: “Developing strong vocational career opportunities for young people is a real priority for us at Knightsbridge, and our apprenticeship scheme is a fantastic opportunity for trainees to acquire the skills they need to become first class tradespeople.